People in the UK are tired of being closed up in their homes constantly and homes with large gardens are difficult to come by for many people since they can be so incredibly expensive, especially in Surrey, London and surrounding areas in the UK. In fact, home owners with a lavish garden spend the majority of the year in-doors due to the weather especially in the winter and through rainy seasons. How can I add more natural light to my home, increase the space and also enjoy the views of my garden without breaking the bank? Sometimes home extensions and conversions can be extremely costly; an extension may not always give you the added light that you wanted nor the exquisite views over your garden. This is where homeowners are looking towards conservatories as a popular home extension of choice. Not only is a conservatory a stunning addition to your home, but will significantly increase your homes space, natural light and of course give you the best possible views of your garden no matter the weather conditions. Whether you want to soak up the sun on a garden lounger or on wicker furniture, read the papers or spend quality family time together a conservatory can give you that closer to nature experience whilst safe and comfortable in doors. A conservatory can be as unique as you want it to be where size and materials are concerned. You can develop on your existing living space, to create a unique design that will blend in with the style of your home, and your own personal taste. You will be able to use the room for any function that you want to, throughout every season of the year since the conservatory can be heated as a part of your home. Bespoke conservatories are the way to go if you want sheer quality for your money. It is best to have a professional do the work rather than treating it as a DIY project, because it needs to be done right in order to be durable and built to last. Professional contractors will typically have reasonable rates, so it is better to have their expertise on the job if you want it done right. Conservatories come in both aluminium and UPVC materials, and the selection of shapes, styles, and sizes are vast. Whether you want an Edwardian, Victorian, Lean-To, or any other type of conservatory style, you will have plenty of options with Sheerwater Glass. Adding Space. Entertain friends, use it as an extra lounge area for family time or use it to grow plants, herbs, flowers, or vegetables. Cost-Effective. A conservatory is more cost effective than an extension. Adding Natural Light. 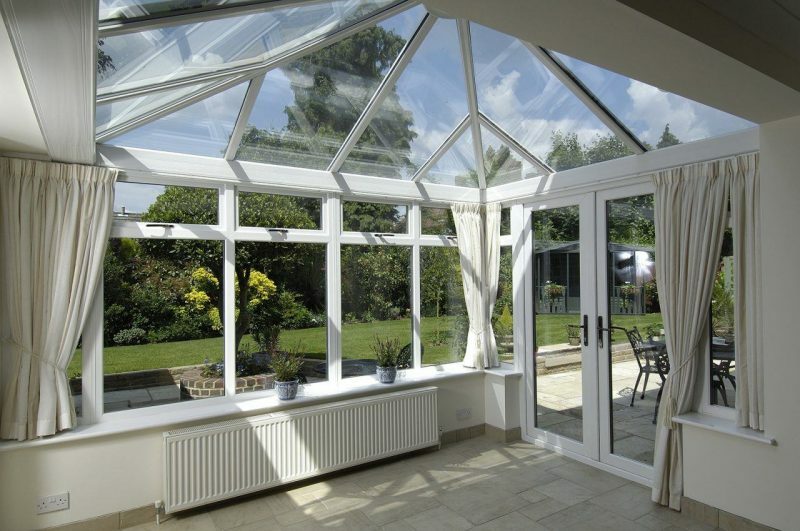 Conservatories add an impressive amount of natural light to your home. Create exquisite views over your garden. No better views over your garden no matter the weather conditions. Most companies that specialise in conservatory builds will offer free estimates and in-home evaluations. The expert technicians that they send will be able to give advice on the style that might be right for your home, and they will discuss the various options that are available, so that you can make an informed decision on what options to select.